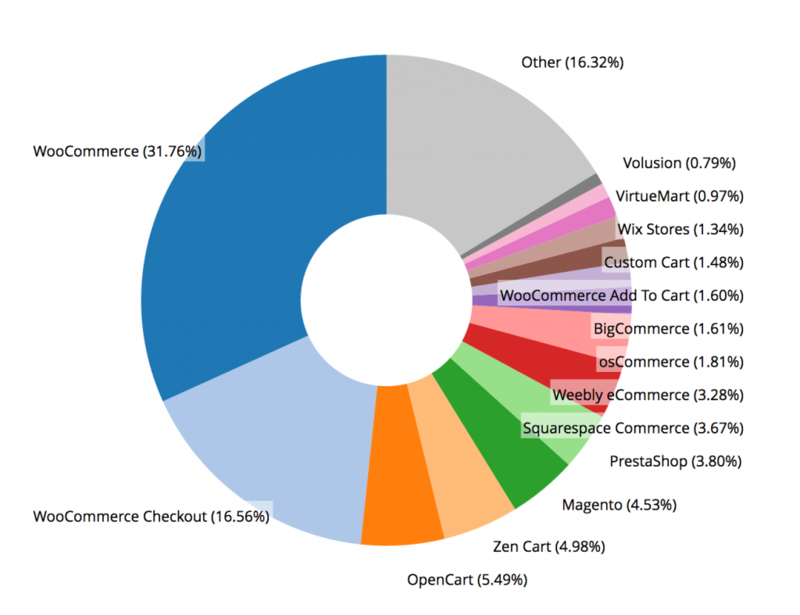 PrestaShop vs. Woocommerce - What is the bottom line? First of all, we feel that we should mention that the following article is NOT created as a promotional tool for one of the two eCommerce platforms. This material is purely informational based on our previous experience in dealing with both content management systems. So, let’s get down to business! Prestashop is a purely eCommerce platform designed to help medium and big sized businesses to sell their products online. You can add static (CMS) pages and add a blog functionality using a free module. Woocommerce is a FREE WordPress plugin designed to extend the CMS’s functionality with a shopping cart. The predominant feeling that it gives: it was meant to help content websites to sell some products related to their subject matter. However, they are the same thing, right? Wrong! The Prestashop built in file system cache is not very good. It slows down the websites each time we try to use it. We had some good experiences with Memcached. Forget about nulled/stolen modules or themes. When we think of themes, our mind usually takes us to WordPress themes. These are the most popular ones. Not every theme is built to work with Woocommerce, but with the possible help of some plugins, you can easily make any theme compatible with this eCommerce platform. Prestashop is built using the Smarty framework. So, if you know a little bit of HTML and CSS, you can crack the design on your own. The Woocommerce design can be edited from within the theme itself, by overriding the plugins templates. there usually is a “/woocommerce/” folder within your theme. There you can create your custom design. a frequently asked question: What if the user wants to use the desktop version of the site from his mobile phone? Almost all the WordPress/Woocommerce themes are responsive now. From what we have tested, Woocommerce can support many products. You can even try to push it to 10 or 20 thousand products. On the front end, it will work just fine. Some real issues will appear in the admin section. The Woocommerce Layered Nav plugin is very useful. Prestashop has built-in an advanced stock management section that can help you manage supplies from multiple warehouses. You can keep track of your products by UPC or EAN13, and you can even send purchase orders right from the Backoffice. Woocommerce does not provide right out of the box advanced inventory management options. However, some plugins allow you to integrate with well-known software such as TradeGecko, StitchLabs. There is a plugin connecting Woocommerce with Odoo, and it’s free. If you want to extend these capabilities, there are about 180 Shipping and Logistics modules on the official Addons market. Also, from what we have noticed almost every major courier has a Prestashop module developed. The headaches caused by AWBs and other shipping issues will be a thing of the past. You can configure preferences and moderate your reviews from the Product Comments module. If you would like to have more engaging and active reviewers you can try the Yotpo module. There is a free version of this service, but it is branded with their logo. It’s worth to take a look at what Yotpo can bring to your business. Woocommerce uses the WordPress comment system with an addition 5-star rating option. You can deploy multiple Prestashop stores from the back office with a few clicks. This could be a very compelling option for some business owners. e.g. : you are the owner of a fashion store; now imagine separate stores for dresses, tops, shoes, jeans, etc. Woocommerce: WordPress multisite can be tricky, especially if you want it to be multilingual. For Prestashop, it is available at the click of a button. The options are limited, of course. It seems that there are a lot of skilled developers and not so many jobs, so you are pretty much set on that. We didn’t manage to find any official woocommerce training. We have created an in-depth article about WooCommerce SEO. If you are leaning towards WooCommerce, make sure you check it out! you can’t edit products in bulk, from the product listing; some plugins can help you with this, but they are primitive and quite expensive. Create a wishlist of features and compare it to this article. Make sure you include every idea you have! The main author of the Canonicalized content. I am highly passionate about data analysis, visualization and whatever helps people reach informed answers faster. I love what I do, and I am working to improve speed in every aspect of my life. I find comfort in helping people so if you have a question give me a shout! Thank you for this post ! Very interesting ! I would like to know where you found the worldwide statistics ? Because on BuiltWith, Prestashop is not even in the chart :s http://trends.builtwith.com/shop (when you click “The Entire Internet” on the right side). Thank you for taking the time to read our article! Thank you, Anderson! Make sure you come back for more! Yes, very extended and detailed post about woocommerce! Is it counted with all the plugins? All the best, keep the nice work. The best comparison of products ever! Thank you for taking the time to help us understand both platforms, truly the best comparison out there. Outstanding analysis, clarity and effort! Hi, can we translate it in Russia for our site? How about your own ideas? We updated the stats. Thanks for pointing it out! Thanks for the detailed sharing of your experience ! It really helps in comparing the two e-commerce system. Excellent article helped me decide !! So glad it helps, Błażej! Love it, Wow!, So informative and detailed. Thank you. “More is lost by indecision than by wrong decision” How true. Better pricing: WP is by far (and we mean hundreds / thousands) offering more of the cheaper plugins and also themes… your discussion misses that point. Sure you can find 1 plugin for presta at $30… but I can find over a couple hundred for WooComm…. it isn’t at all the same. More, cheaper, more available, with greater development frquency…. However, you can’t be perfect… but I saw some weighting in favor of prestashop in a few cases that was unwarrented. We actually switched from Presta to WP/WooCommerce, and found improvement in just about every categoy..
It’s true we are not perfect. Thanks for sharing your thoughts! Hi @disqus_ACVBONx7aT:disqus, I’m also considering switching from PS to Woo. Which tool did you use to transfer all the data from the Prestashop? Sorry Alexadre, I do the analysis but rely on a tech team to implement, so your queries are unfortunately beyond my technical ability… I simply assess the cost / benefit factors. Woo had tons of integrations, so if you do a search for the area (such as “customer groups” / CRM) and “woocommerce” you will likely get buried under a ton of search results showing many different solutions. My team did a custom integration and export / import of the data from our old system… wasn’t Presta… we’d moved on from that platform years ago (I hate it myself…). You can also search out JVZOO… do a search for your solution description (woocommerce b2b) and jvzoo, and then play with the terms… they have a ton of products every month, some of which regularly are aimed at this solution, and use woocommerce… lots of stores are turn-key / cloud SAAS solutions… aimed at everything from B2C to B2B…. and most have advanced CRM capabilities these days… (drip campaings / autoresponder integration / etc.). Yes, Woo has a huge community. It’s a big plus. Think about a switch to thirty bees, really impressive giant step forward. B2B in WC is not a funny project – did that 3 times for customers. If you already go presta check out thirty bees. I am getting overwhelmed with all the options: PS 1.6.1.18; PS 1.7.2.4; thirtybees; WC… PS1.6 is the easiest to me. I am leaning to WC because of the huge community and options (yes, many are paid). Basically discarded PS1.7. 30Bs is small, although it might work wonderfully, if I need features, might be harder to implement. brilliant article !!! I use both framework in my career for years and agree with every single point ! This was a really great comparison! And since I am using prestashop today on two live shops while I also run woocommerce on some testdomains to “keep up” with everything that happens, It’s easy too agree to everything here. For everyone: Remember that Prestashop is a software BUILT for running online stores. And overall, it does a great job! WooCommerce is a *plugin* to a bloggingplatform never really intended to be used as an ecommerce platform at all – it’s as easy as that. If you are in the market for an aquarium, what would you rather purchase? An aquarium by a company that was founded to produce aquariums, and hence have all the exerience from 0, or would you instead shop a great product to that would fit your bathtub to make it look like an aqarium? My small aquarium-comparison there may be a little “out there”, but that is the actual main difference between Prestashop and WooCommerce. is this still relevant in 2019? presto had any improvements vs wc? i am a heavy wc installer/user, but because of the damn compatibility issues that start to happen when you update something and other plugins start to fall apart, js errors, plugin conflicts, themes that are not always compatible with wc updates etc, is getting into my nurves. you cant keep your eshop outdated for ever for security reasons, but keeping it up to date can cause a lot of problems. i am seriously thinking to try out prestashop…..